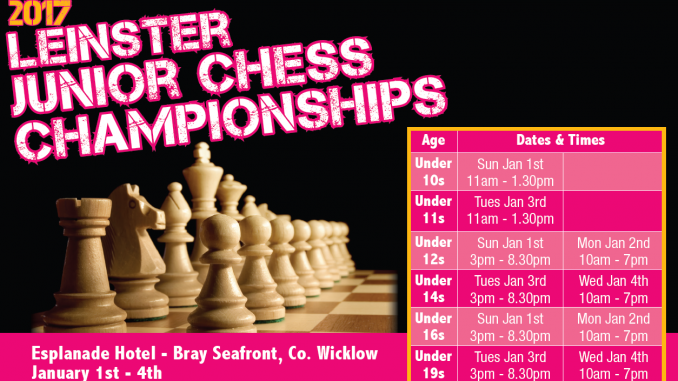 The 2017 Leinster Juniors Championship will take place Jan 1st – 4th, in the Esplanade Hotel, Bray. 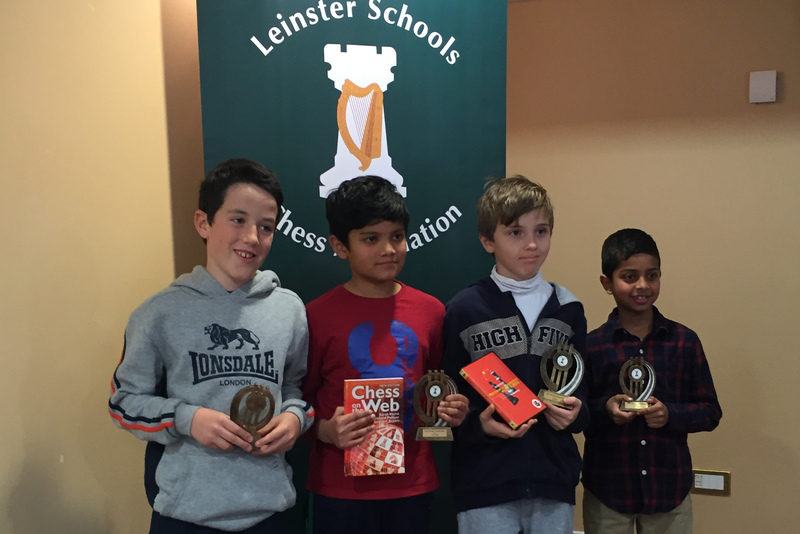 This is a very well run tournament by the Leinster Schools Chess Association, ideal for our junior members interested in competitive chess. Under 10 and Under 11 will be a one day tournament. Under 12 to Under 19 will be ICU rated two day tournaments, 75 mins each per round. Online entries via ICU website .